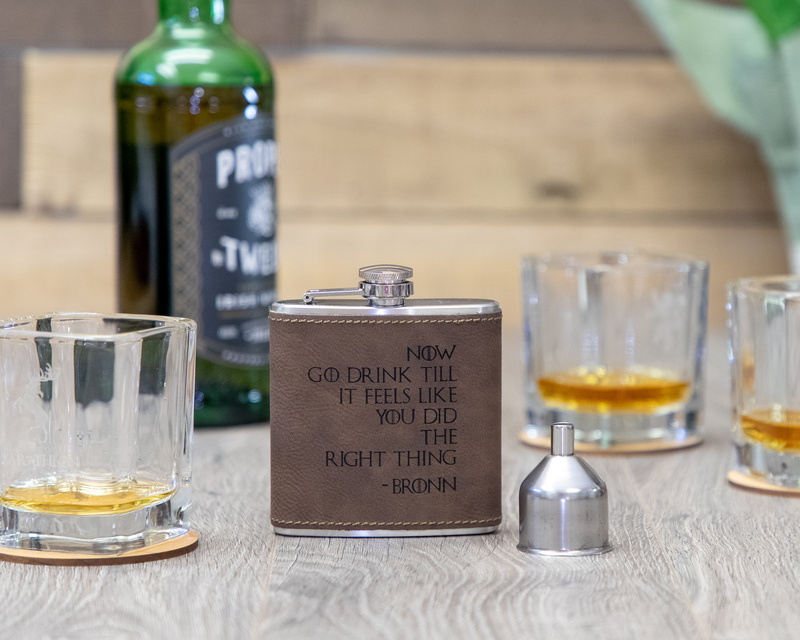 Now Go Drink Till It Feels Like You Did The Right Thing laser engraved leather flasks. This faux leather flask is the perfect addition to your weekend binging sesh of GOT. This leather wrapped 6 oz hip flask is a great buy due to its durability. Each leather piece is expertly created with detail and a beautiful color. With regular use, this leather flask will age gracefully. With regular use, this leather flask will age gracefully. Available in Buckskin, Chestnut and Bay Brown.